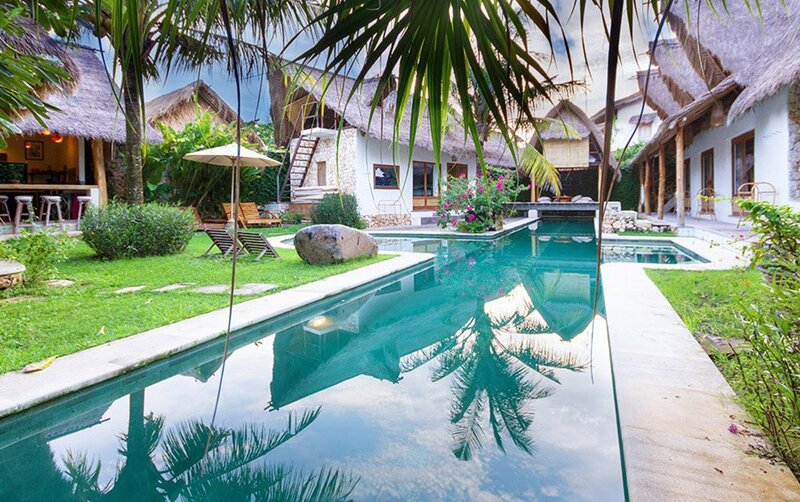 L umba Lumba means dolphins in Indonesian. 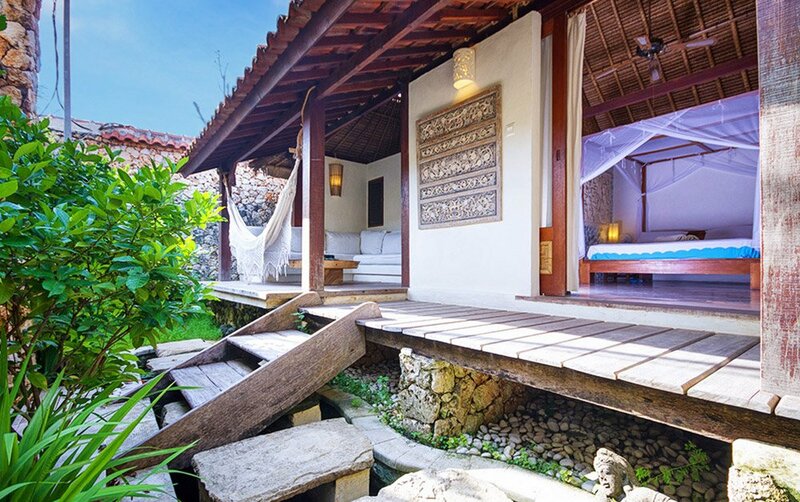 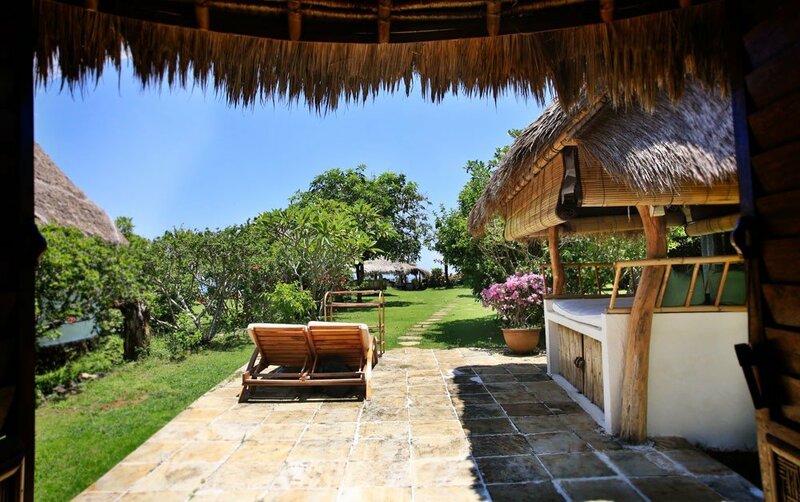 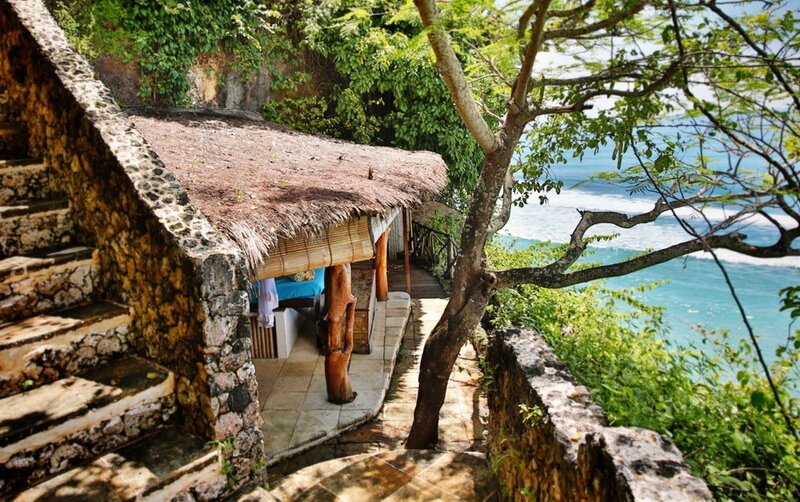 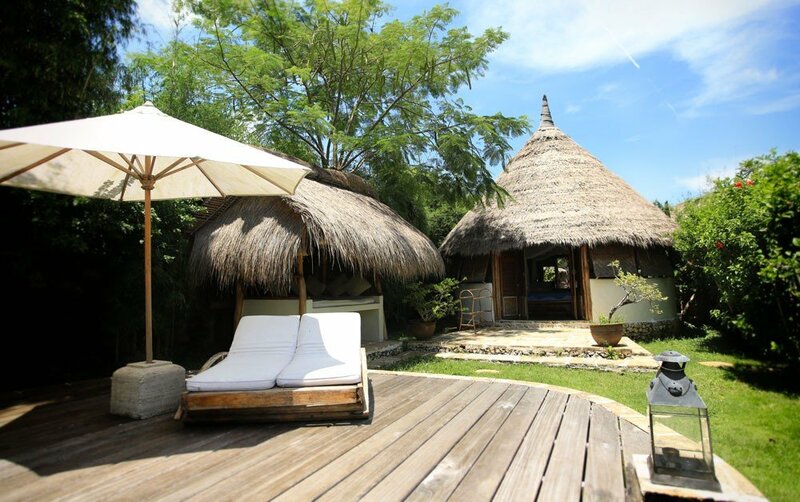 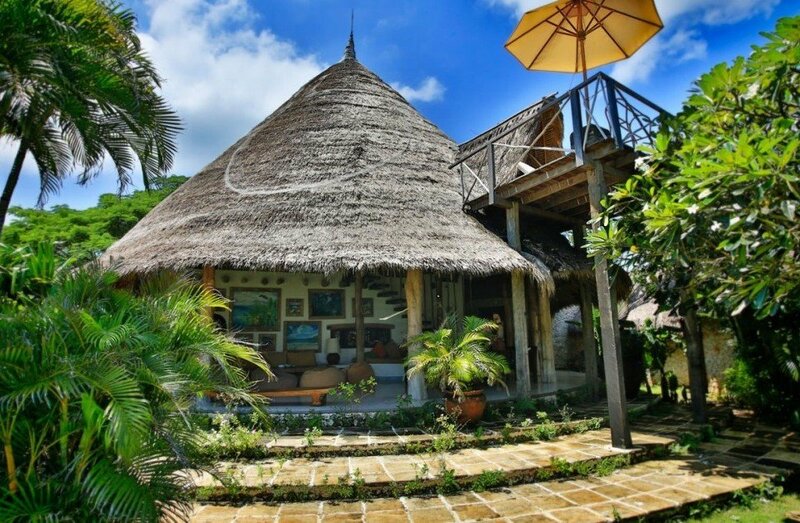 Lumba Lumba Villa is located at the entrance of the resort. 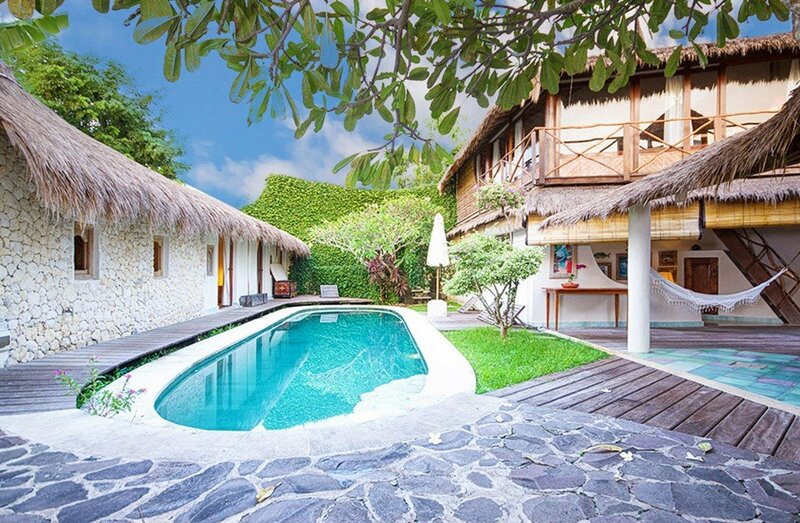 This Villa has 4 bedrooms with en-suite bathrooms, all equipped with AC and in room safes. 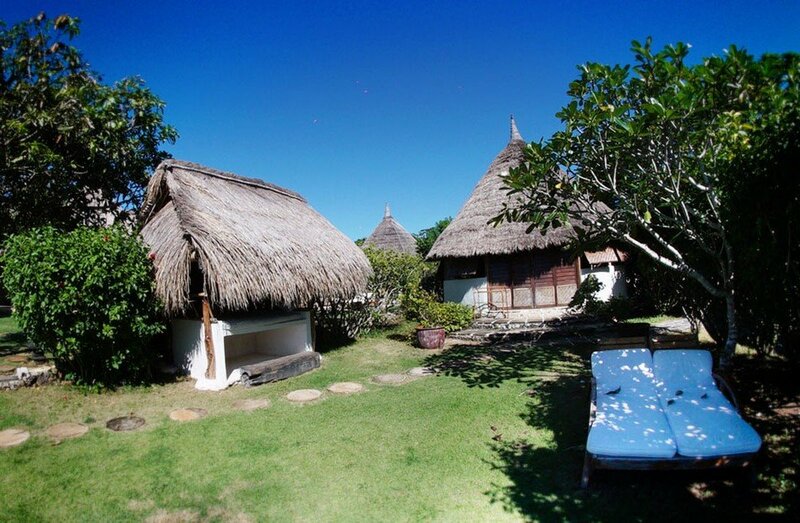 It has all the modern amenities in a charming and traditional style. 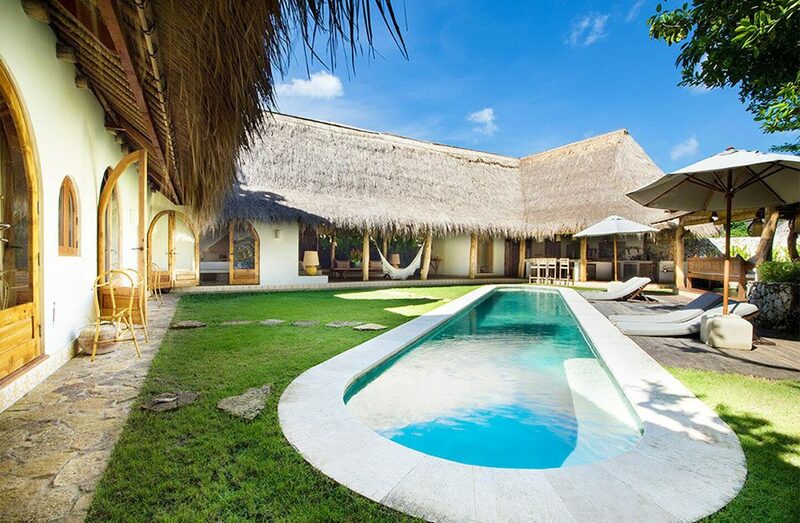 It has a private 25 m salt water swimming pool, living room, gourmet kitchen, dining area, bar area and a powder room. 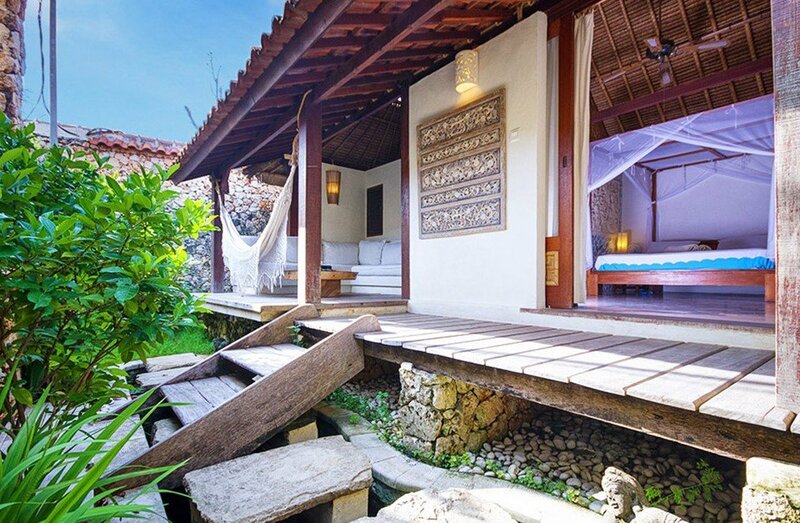 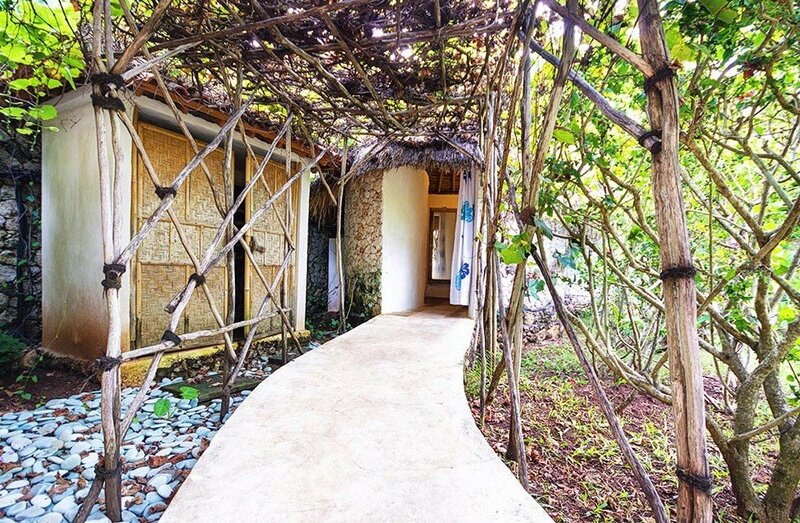 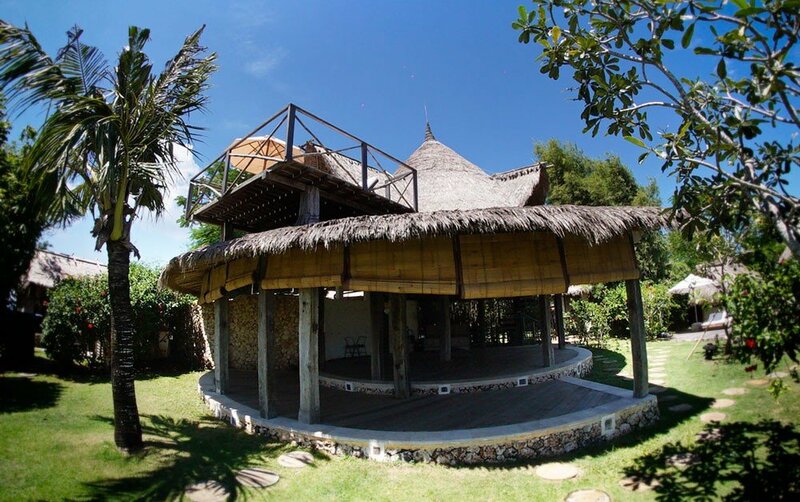 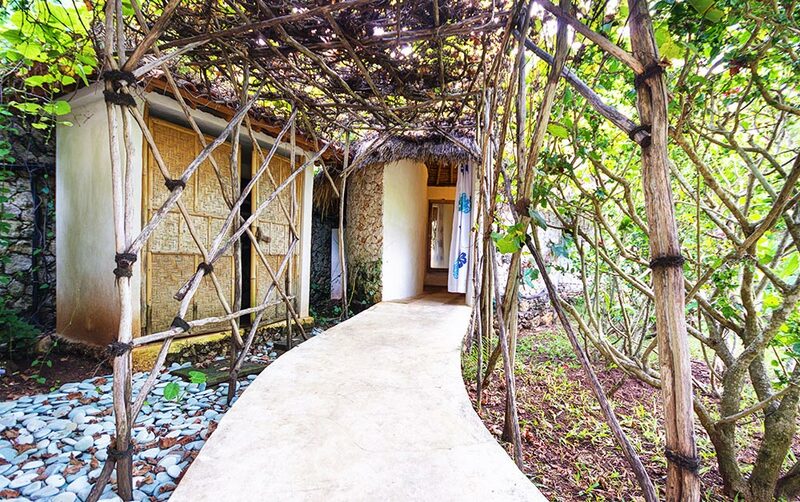 It has a 2 story Traditional “Bale” built over the pool for day lounging downstairs, and a queen size bed open with fan and mosquito net for a unique sleeping experience. 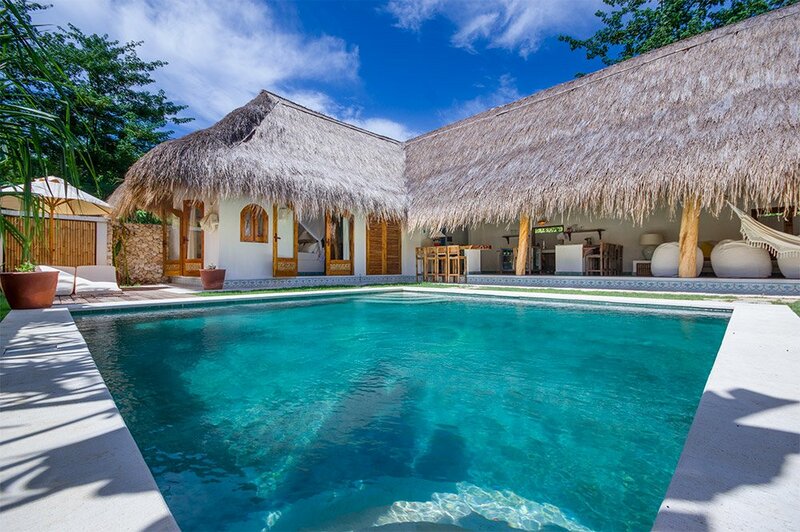 The villa can accommodate up to 10 people. (8 people in the bedrooms and 2 people in the Bale). 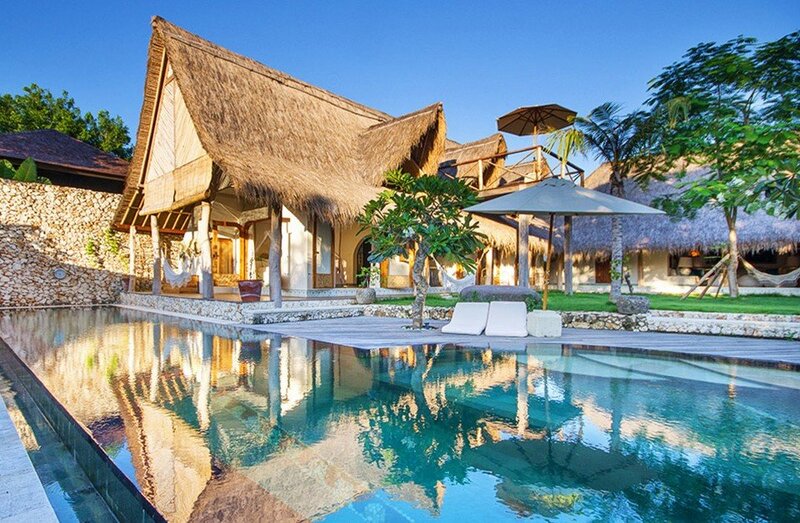 All cleaning staff included.